Chromatik offers users arrangements for the most popular instruments (and yes, your singing voice is one of them), and instantly transcribes titles when necessary. 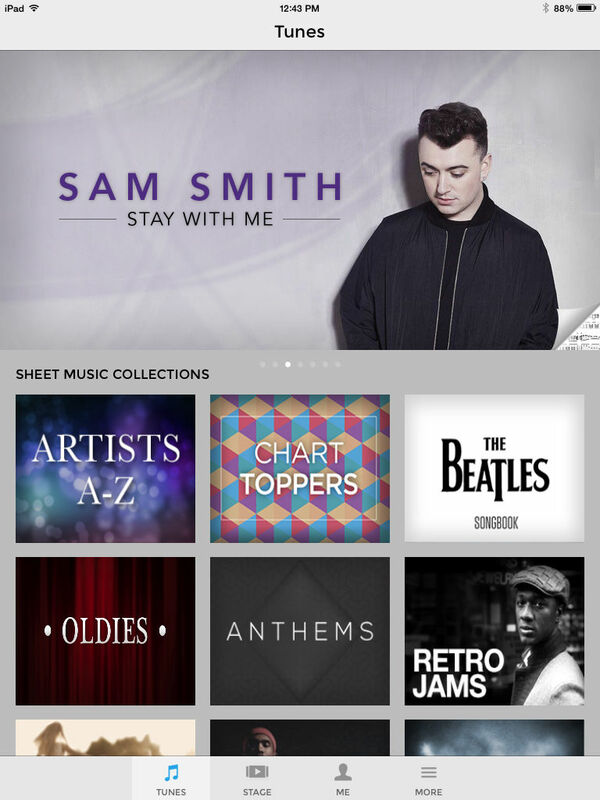 The app also includes videos for most titles to give users a way to listen in on the original rendition or jam along with Pharrell Williams if they want to. There are a couple of other useful tools, including a metronome as well as the ability to annotate any title, but two features are worth singling out: Users can record audio or video of their practice sessions to review their progress, and then share highlights with the Chromatik community, or even with their friends on social networks, which adds a neat social take on the otherwise pretty solitary act of practicing music. 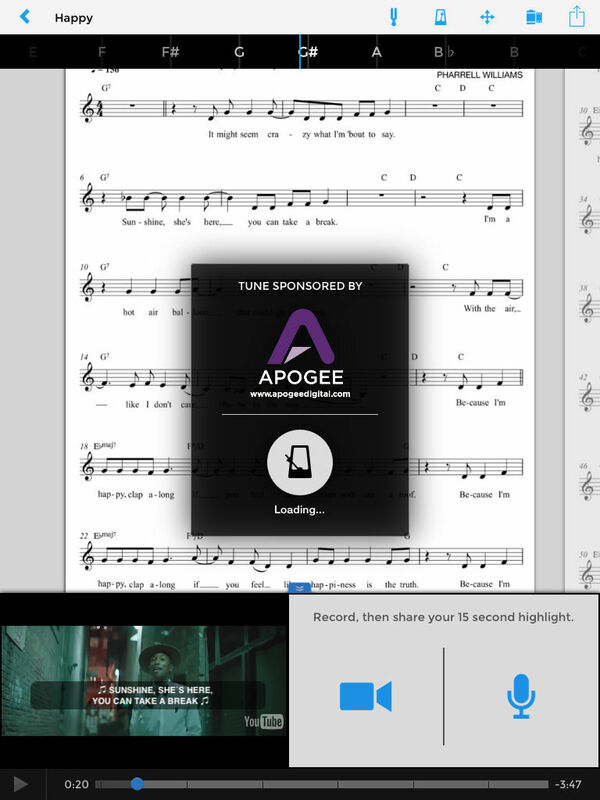 The other feature will make anyone happy who has been playing music for a while: Users can also import existing sheet music titles by simply snapping pictures of each page, and then storing them in the cloud to be available through the app. I first met up with Chromatik’s CEO Matt Sandler two and a half years ago in Los Angeles, when the company was still in the process of getting ready to launch its first app. Back then, Chromatik was looking to target schools and music teachers as a way to improve music education. When I reconnected with Sandler this week, he told me that Chromatik found it hard to grow in the education market. At the same time, it saw huge interest from consumers — but most of them had a hard time getting access to sheet music. With its new app, Chromatik hopes to give amateur musicians what they want, while also bringing new value to the music itself. “We are adding hundreds, if not thousands of titles a week,” said Sandler. Music publishers will get “a substantial amount of revenue” from the use of their titles, he said, but also benefit from people spending many hours practicing to play their titles. Listen to a song a few times, and you may be a fan. Learn to play it yourself, and “you become a true evangelist,” said Sandler. There are many more innovative sites than this. Off the top of my head: Soundslice, NeoScores, Songsterr, Jellynote. Chromatik is a glorified PDF reader, with apparently no knowledge of the underlying music semantics. They don’t even know how far you are into the song, during playback, as the Youtube video isn’t synced with the music. Also, an error in your article: I was excited to read it “instantly transcribes titles when necessary” but it doesn’t actually do that. I think you meant _transposed_?